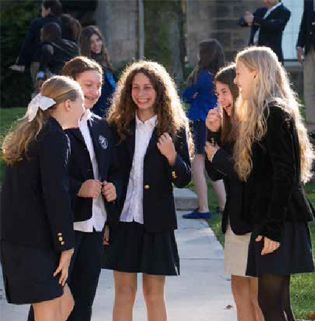 Saddle River Day School, located in the hills of Saddle River, New Jersey, is a co-educational, college-preparatory independent day school for students in Pre-K through grade 12. It was founded in 1957 and graduated its first senior class in 1960. Our student body of 325 boys and girls comes from 64 communities in Bergen, Essex and Passaic counties in New Jersey and Rockland County in New York. 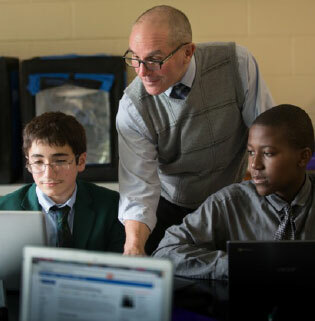 Our overall student-to-teacher ratio is 7 to 1. More than 70 percent of faculty members hold advanced degrees, and all new hires are required to earn their master’s degree within five years. We offer $125,000 in professional development funds each year. 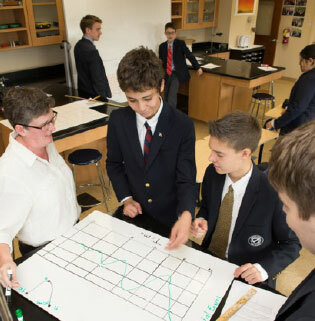 Head of School Eileen Lambert is passionately committed to preparing students with the sophisticated thinking and communication skills they will need for a rapidly changing future. Through her innovative and experienced leadership, SRDS guides students to achieve in an atmosphere of personal care, strong student teacher bonds and intellectual challenge. Lower and Middle School students have art and music classes several days a week. 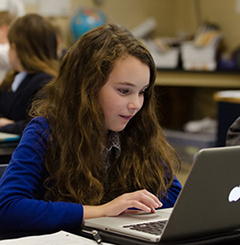 We offer a wide variety of visual and performing arts courses for Upper School students. Middle and Upper School teams participate in interscholastic athletic competition, while the Lower School offers various fitness clubs after school. Lower and Middle School students have physical education two times per week, and Upper School students take P.E. every year. 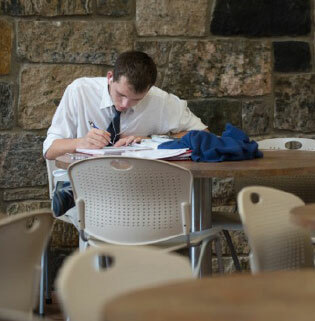 College counseling formally begins in the junior year, though seminars and information sessions are open to younger students and their parents. SRDS graduates have attended some of the most selective colleges and universities in the country. Check out our recent acceptances and matriculation list. In the last three years, alumni were offered $1.7 million in merit-based scholarships. The library has three levels and serves as the learning hub for all Middle and Upper School students and faculty. It contains computers; color printers; fiction, nonfiction and periodicals; a silent reading room; and 20 laptop computers available for checkout during the school day. The lower two floors of the library, located in the Minton Wing, contain three new media rooms, additional tables for small group work, and the math lab and English lab, where students are invited to meet with teachers one-on-one or in small groups. SRDS is a warm, welcoming and socially inclusive community. Parents are invited to be involved in school activities. Teachers and staff make a deliberate effort to ensure every student feels accepted and appreciated by their peers. Students perform community service through schoolwide activities, clubs and class assignments with service components. Our community celebrates diversity in all forms. 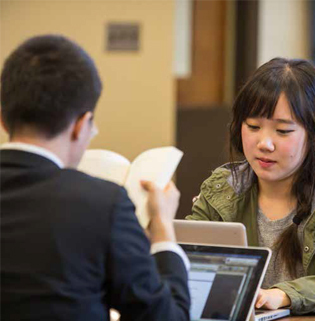 Currently, 38 percent of our students identify as non-Caucasian. Saddle River Day School is a nonprofit, nondiscriminatory, co-educational, college-preparatory independent day school accredited by the New Jersey Association of Independent School (NJAIS) and Middle States Association of Colleges and Schools. It is a member of the National Association of Independent Schools.